You absolutely love children. It doesn’t matter if you’re surrounded by your friends’ newborn babies or a colleague’s little one, you find them fascinating and adorable. Whether you’re ready to have a newborn yourself or pursue a career where you are surrounded by sweet little ones, you want to start exploring your options. You can have a happy and fulfilled life which involves babies, teens or toddlers, whatever career path you decide to take. Here are some ideas that might get you started on the journey to a child-related career. Becoming a nurse will take a lot of time, patience and passion for the industry. You will work long hours and go through some rough times while working in a hospital. If you are ready for the challenge, you could study online neonatal nurse practitioner degrees and start climbing the career ladder now. You can prepare for an advanced practice role leading nursing care for infants through the first two years of life. You can study online from the comfort of your own home and soon become a graduate who is ready to enter the field professionally. You might think you love children right now, but once you have to take care of them for a full day, you will soon realize how exhausting they are. If you think you’re up for the adventure, then consider starting your own babysitting or childminding business. You could earn an income by caring for other people’s little ones. Leaving children in the care of somebody else is always a scary thing, so you need to make sure you’re qualified, friendly and caring. You want people to trust you to care for their children. There are several steps you need to take before becoming a tutor, but this will allow you to pursue your passion for helping children. Whether you desire to work with teens trying to get into college or nursery aged toddlers, you can pursue tutoring in almost any area you like. If you have a specialist skill such as music, art or dance, you might want to become a teacher in the arts. There would be no better way to pursue your passions and show children how to do it too. 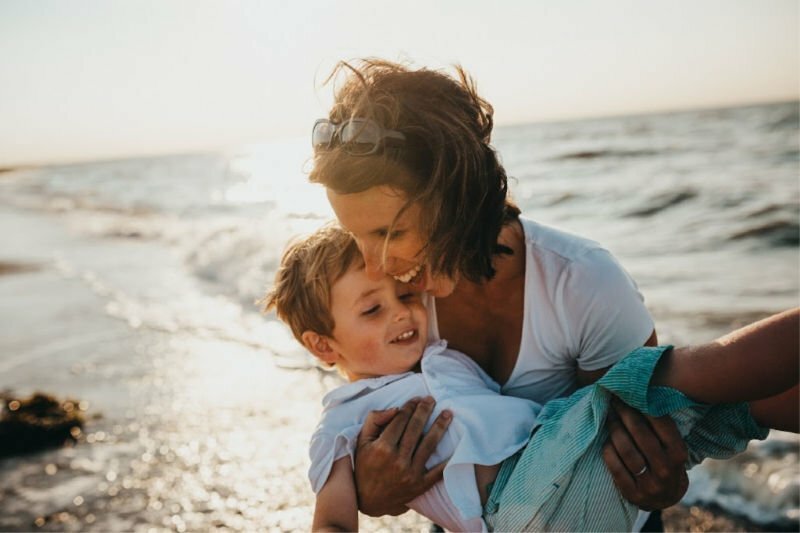 You might not be in the right frame of mind to have little ones of your own, but if you adore children, this could be the perfect career path for you to follow. Imagine becoming a full time mother or father, who has a house full of adoring little ones. If you think this will make your heart happy and fulfil all of your personal goals, then why not just go for it? You can have a career bursting with love and little ones if you follow these inspirational ideas now. So pursue the career you have always dreamed of, further your education, follow your personal passions and make your life finally feel complete again.